I've really been neglecting my Oh Yeah Cat Heads shop lately. I've just been too busy with orders for Of The Fountain to make any new cat heads. This makes me sad 'cause I like making those little guys. My better half will be gone for a few weeks next month, so I plan on making more items for the Cat Head shop then. For some reason I get super bored when he is gone. So bored, in fact, that I keep a constant watch on the clock, just waiting for the second that it becomes a reasonable time to go to bed. Come on 9:00pm!! I feel that is an acceptable time to go to bed, even if I don't plan on waking up until at least 12 hours later. 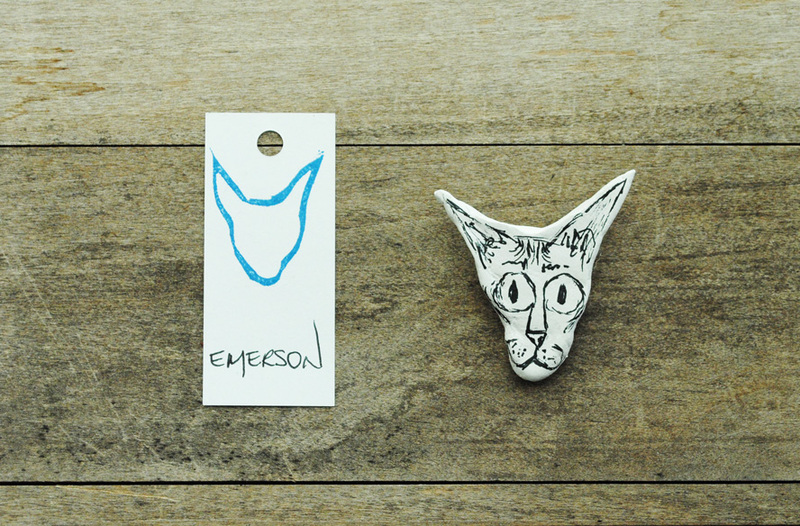 My plan to alleviate the boredom while he is gone this time, is to make cat head brooches and sculptures. 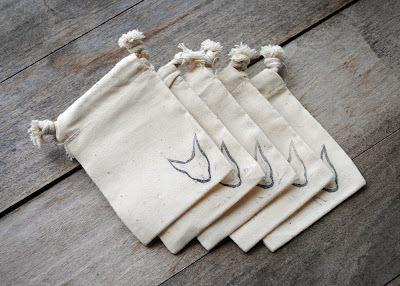 The only new activity in the shop has been the introduction of some tiny muslin bags. 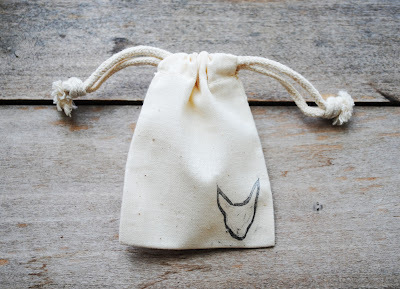 I've stamped them each with my hand carved cat head stamp. A set of 5 is $5.95. Show your Cat Head pride! So just a fun fact Cat Head FYI - I have a oouple brooches "favorited" on Etsy (Penelope and Lucille to be specific) but I HAVE to wait until I have spare cash moola to purchase one (or more) of these freakin' adorable creations. Maybe I'll have some new "faves" after you make some new cat heads! 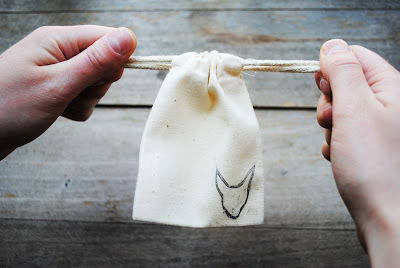 hahah I love your cat heads, and the pouches are a great addition!